Jill Wilkie wouldn’t really call herself a cyclist. She joined us on the Milan to Rome Pioneers ride this June – a 4.5 day ride covering 450 miles and climbing 27,225ft – making the latest addition to a lifetime of cycling: to and from school as a child, to and from university as a medical student, on mountain bike holidays and dabbling with races as an adult, and joining the ‘roadie’ crowd in her adopted home of Bendigo, Australia. 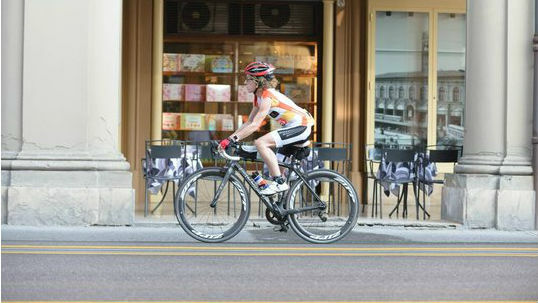 Jill was attracted to Ride25 after her sister rode last year’s Geneva to Milan Pioneers leg. As a Brit living in Australia, she is our perfect customer – “the thought of gradually making my way from my ‘home home’ in England, to my adopted home in Australia seemed romantic and massively appealing”. Arriving at the start line in Parco Sempione filled with mild hesitation (“nervous was a bit of an understatement!”), Jill joined the group of “really serious-looking cyclists”. Her training regime had to be designed around the busy lifestyle of a parent and doctor, factoring in “weekends on call, kids’ commitments and very limited time off”. Despite that, she managed to prepare more than some riders we’ve spoken to! Once on the road the nerves disappeared, and Jill joined what she calls a “fabulous peloton” that stuck together for most of the rest of the trip. She says she felt lucky to ride as part of a supportive and friendly group, and describes the riders as “an inspiring bunch of incredibly talented, motivated, clever, but lovely people” – high praise indeed! This camaraderie is exactly what we aim to build on a Ride25: a close-knit group offering each other support makes a ride so much less daunting. The fabulous peloton, Jill second from the right! 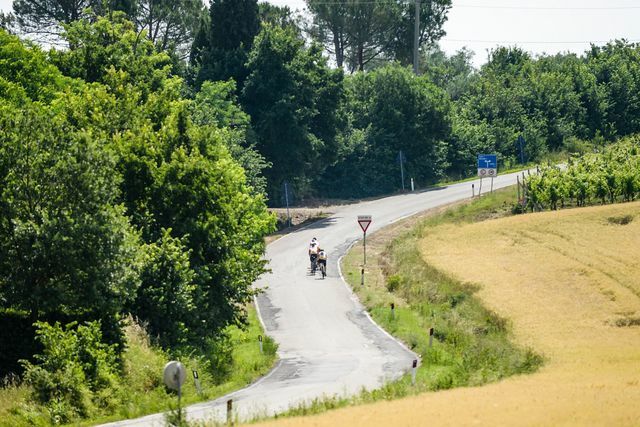 Over the next five days the group rode through Italy spending nights in Piacenza, Bologna, Figline Valdarno, and Orvieto before arriving at the Vatican City (the smallest country in the world!). Averaging 90 miles a day and with daily elevations ranging from 1,200 to 9,450 feet, the ride definitely represents a challenge! “There were so many: the beautiful sights, the sense of euphoria of reaching the peaks, and of seeing those orange flags even if just for a friendly smile, a “well done” and a cup of much needed coffee. 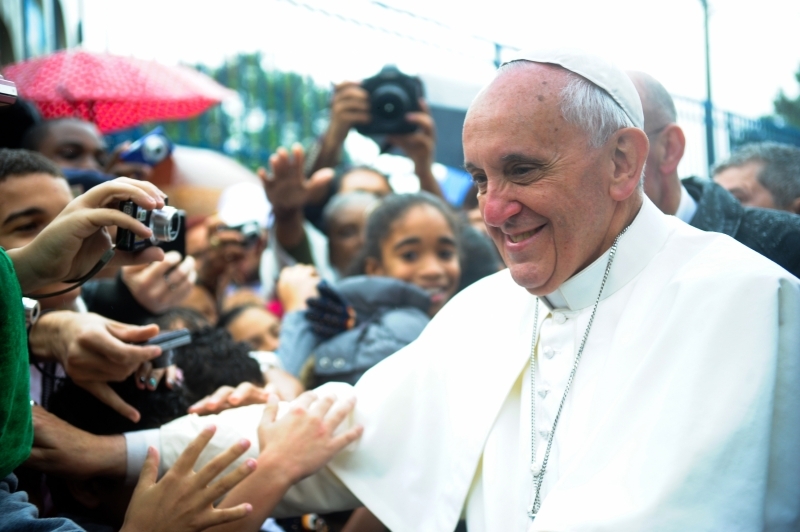 Note – a greeting from Pope Francis isn’t a guaranteed part of our Milan to Rome ride! After successfully dominating the Italian hills, Jill has expressed interest in doing more Ride25 legs (“I want to do all of them! I am hooked already…”). She also has sights set on completing Around The Bay, a one-day ride around Port Philip Bay in Melbourne (an impressive 250km), the Melbourne marathon in October, the London marathon next April, climbing Cradle Mountain in December and Kota Kinabalu in March – that’s one impressive calendar! If you fancy our Rome to Milan leg or any of our other European cycling holidays, check out our trips page!